DWANE HALL, DENISE HALL, JASON HALL, AND KENNY BIRRINGER-OF THE SPORTSMEN’S TAVERN FOR STEPPING UP TO THE PLATE AND GENEROUSLY DONATING THE VENUE, SOUND, LIGHTS AND BACKLINE AS WELL AS SEVERAL AMENITIES/GUIDANCE TO ENSURE THE EVENT WENT SMOOTHLY. SPECIAL THANKS TO JASON FOR BEING PATIENT WITH MY OCD. IT WAS A PLEASURE TO WORK WITH THEM, AND THEIR BARTENDING AND KITCHEN STAFF. ALSO THANKS TO DYLAN ON SOUND AND LIGHTS! GREAT JOB! 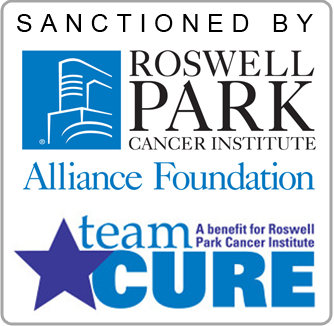 ROSWELL PARK’S ALLIANCE FOUNDATION AND TEAM CURE/JULIA HARVEY – FOR THE SANCTIONING OF THIS EVENT AND HELP WITH PROMOTIONS, TEAM CURE KIT, AND FOR REPRESENTING HERE TODAY ON BEHALF OF ROSWELL. ED HOENECK- FROM NIGHTLIFE MAGAZINE FOR HIS CONTINUED SUPPORT IN ADVERTISING AND PROMOTING THIS EVENT. IN ADDITION, TO MARTI GORMAN OF CITYBRATION AND ALSO TO BUFFALO RISING, AS WELL AS RICH FROM RIVERSIDE REVIEW FOR FEATURING THE BENEFIT IN THEIR PUBLICATIONS/ONLINE NEWSLETTERS. STEPHANIE PETKO- FOR HER HAND CRAFTED OWLS MADE ESPECIALLY FOR THIS EVENT. TO ALL THE PERFORMERS: JAZZLINE, EINAT AGMON, THE GRATEFUL DANS, AND SUE KINCAID AND HER HALL OF FAME BAND! WHAT A GREAT, SUPPORTIVE, SELFLESS, TOP NOTCH LINEUP OF TALENT! KATIE HILDRETH/NOIZEPRO.COM-THIS YEAR’S ONCE AGAIN OUTSTANDING POSTER DESIGN AND WEB SITE DESIGN AND MAINTENANCE, FACEBOOK PAGE AND PROMOTION. PHOTOGRAPHER, MIKE MIETLICKI- FOR DONATING HIS OUTSTANDING PHOTOGRAPHIC TALENTS TIME TO TAKE EVENT DAY PICTURES! Joe/Allentown Music, Jamie/Guitar Factory, Mikal/Guitar Center, Vince/Music City, Barry/Terrapin Station, Catherine Grace& family, Tops Markets, Margaret Freiert, Jan Wood, Natalie Deluca, Carmen Torres-Bursie (cds and pink bracelets and light), Donna Robbins, Candy Pacitti, and my generous co-workers from ACCES-VR, Vanessa Rehac/printing, Joelle Brown, Bonnie Mertz, Michael/Bomi Jewelers, Martin/The Gourmet Store, Kim/Elwood Fire Protection, Max Willig, Maureen Szczepanski/Sara & Frank Testa/Public House, Susan Murray-Ross, Ellen Bourn, Onyx/Strange Brew, Hutch, Al & Ernie/Hutch’s and Nye Park Restaurants, Mary/The Phoenix, Nancy Weimer, Natalie Neubauer, Dennis Grace-signs, Blue Mountain Coffee, Raclette’s/Sandra, Celia O’Brien, Dawn McCaslin, New Dawn Hair Design/Barb, Inspiration Point/Claire, Einat Agmon, Susan Royce, Bridget Hawn, and The Gypsy Parlor/Gabby. Thank you for your sense of community support and generosity! 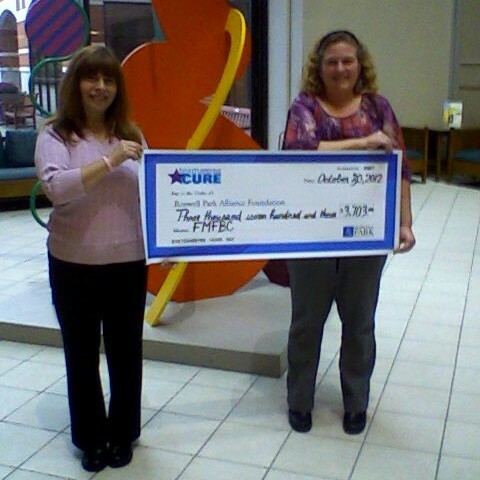 WERE ABLE TO RAISE CLOSE TO $3400.00!